LED driver IC specialist Macroblock reported a gross margin of 34.2% for the first quarter of 2018, reaching new high over the past two years. The company expects its 2Q18 revenue to increase by 20% QoQ after its driver IC is chosen and successfully adopted in Samsung’s display products. The development of Micro LED driver continues and a Micro LED display prototype is estimated to be unveiled in 2H19, the company said. Macroblock reported solid 1Q18 performance with a gross margin of 34.2%, better than 29.5% in 4Q17 and 30.2% in 1Q17. The increase resulted from implementation of pricing strategies for both basic and niche products as well as increased demand from clients in Japan, Korea, and the United States. In wake of increased demand from overseas clients, Macroblock’s revenue in 1Q18 surged by 40% YoY. The company confirmed that its LED driver IC has been successfully adopted in Samsung’s cinema screen products. It is also working on a few projects with its Japanese customers such as Panasonic for the upcoming Tokyo 2020 Olympics. Those projects are expected to contribute to a proportion of Macroblock’s revenue in 2018. 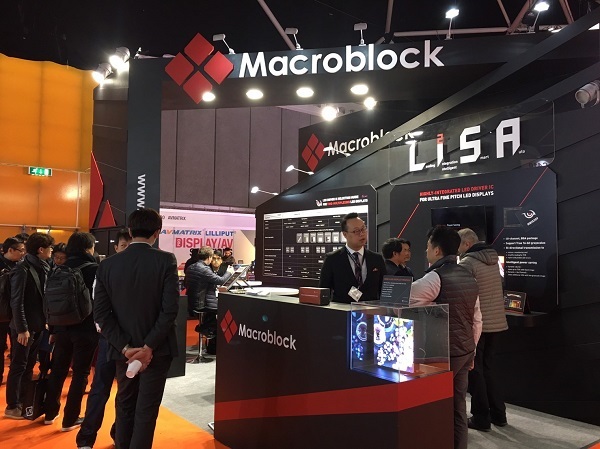 Lichang Yang, Chairman of Macroblock, said the company will launch displays featuring Mini LED technology in the second half of 2018. The company believes Micro LED will have a revolutionary impact on the display industry and determines to become a total solution provider of Micro LED display technology, he added. Customized Mini LED products such as smartphone and TV backlights will soon be released as well. Mini LED displays and Mini LED smartphone backlights will begin to bring in revenues in the first half of 2019, according to Macroblock. Applications sporting Micro LED technology will be unveiled in 2H19 and the new technology will start making a profit in 2020 at the earliest. The company expects to witness a drastic revenue boost in the next three years.